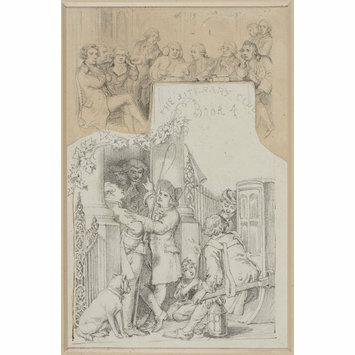 Pencil portrait depicting a view of the Garrick club with coachmen outside. 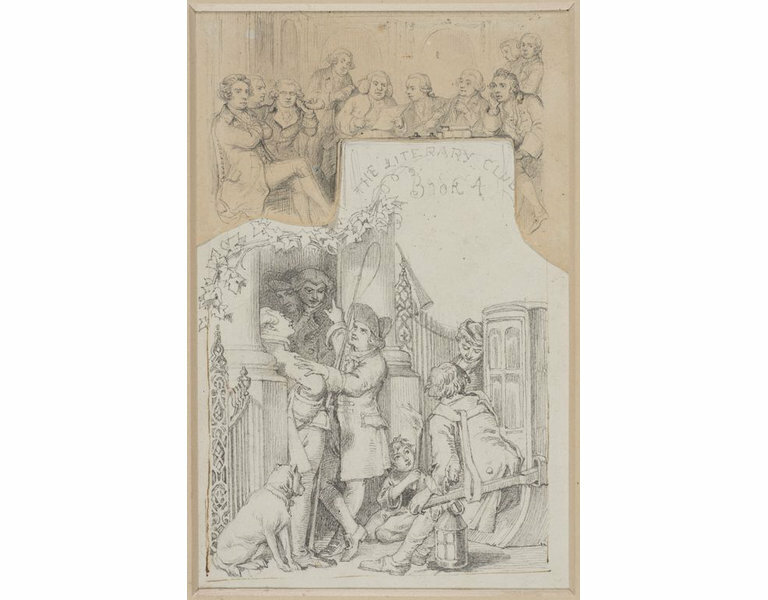 Pencil drawing by Daniel Maclise depicting the Garrick Club in Gerrard Street, London, with Garrick's coachman at the door. Great Britain, ca. 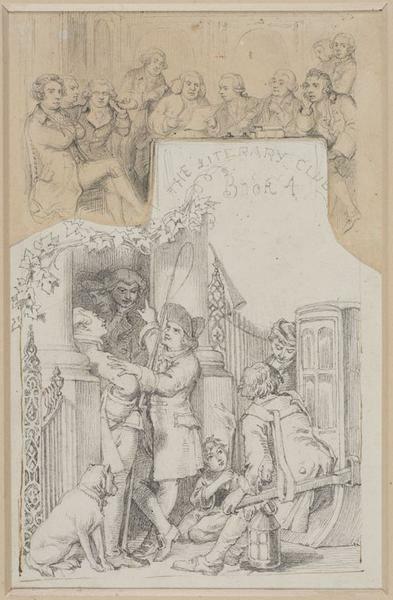 1840s.